The texture of a great steak, the juiciness of a luscious cut of Prime Rib with the flavor-enhancing bone left in. You see, the sweetest juices are most concentrated near the bone. 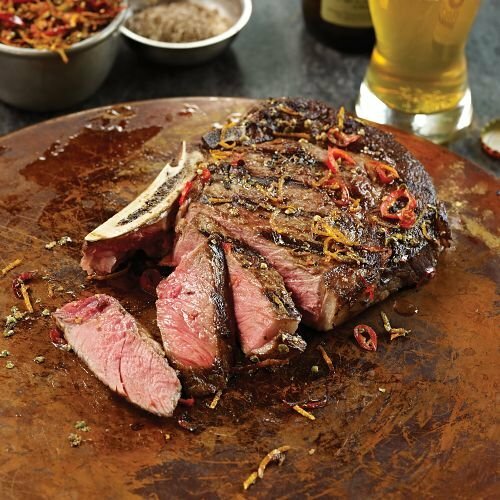 All that flavor and juiciness can be yours in our delicious Bone-In Ribeyes.